Located within Madrid’s Casa de Campo public park, the Madrid Zoo Aquarium is a 20-hectare zoological park and marine aquarium managed by Parques Reunidos, showcasing more than 6,000 land, air, and sea animals belonging to 500 different species. Madrid’s first public zoo facility, the Case de Fieras, was opened in 1770 within the city’s Retiro Park, showcasing a variety of animals native to Asia and North America. The zoo was the second zoological park opened in Europe, following the 1752 opening of the Vienna Zoo, which still operates today and is the world’s oldest zoological park. The zoo experienced significant downturn during the Spanish Civil War and lost a large number of animals due to widespread starvation conditions throughout the country. Following World War II, the zoo regained its international profile, rescuing evacuated animals from a number of other European zoo facilities and attracting more than 1.5 million annual visitors by the 1960s. In June of 1972, the Casas de Fieras zoo was closed and replaced with the Madrid Zoo Aquarium, located within the city’s Casa de Campo public park. In 1978, the zoo received two giant pandas as a gift from the country of China, which were noted for producing an offspring that was the first panda born in captivity using artificial insemination methods. 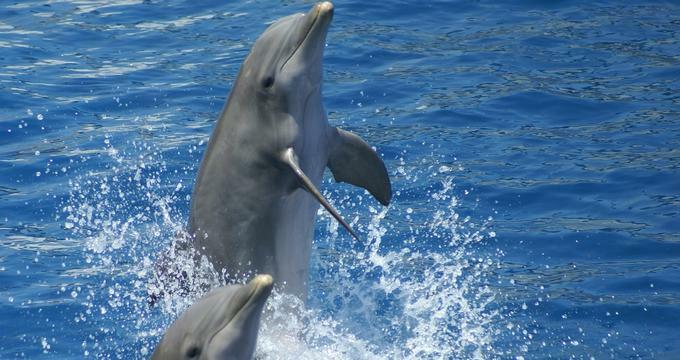 A dolphin exhibit was added to the facility in 1987, and in 1995, an official tropical marine aquarium facility was added, the first of its kind anywhere in Spain. An aviary was also added to the facility in 1997. Today, the Madrid Zoo Aquarium is owned by the City of Madrid and operated by international entertainment operating corporation Parques Reunidos. The zoological park is a member facility of the World Association of Zoos and Aquariums and the European Association of Zoos and Aquaria and is classed as a Heritage Site of Cultural Interest. More than 6,000 land, air, and sea animals belonging to 500 species are showcased throughout the park, a population that has grown more than 10 times over since the park’s 1972 opening. The park’s exhibits are divided by geographical location and include an African Habitat, which showcases animals such as zebras, gazelles, giraffes, dromedaries, and wildebeests, along with a wide variety of gorilla, monkey, and chimpanzee species. A Savannah Vantage Point offers panoramic views of the exhibit, while an African Prairie House is home to a number of the exhibit’s animal residents. A collection of Madagascar lemur species are also on display in the exhibit, showcasing the island nation’s most noted endemic species. In the Asian Habitat, a Panda Bear Pagoda showcases the park’s notable panda bear residents, while steppe, semi-arid, and humid ecosystem habitats feature animals such as yaks, Asian elephants, Indian rhinoceroses, orangutans, and lar gibbons. A Bear Enclosure also features species such as the Asian black bear and the sun bear. The park’s Central American Habitat features animals native to Central America and the Caribbean, including the giant anteater, one of the oldest mammal species found anywhere in the world. Other animals highlighted include green turtles, which are common to the seas and oceans throughout the Caribbean region, as well as a number of other tropical and subtropical zones throughout the world. A European Habitat showcases animals such as Spanish mountain goats, fallow deer, and nilgai, along with a wide variety of duck, waterfowl, and fish species. Within the North American Habitat, species from the Great Lakes region such as moose and raccoons are highlighted, as well as temperate forest species such as the American black bear. A South American Habitat showcases the animals of the Andean Mountains and the Amazon Rainforest Basin, such as capuchins, Amazonian giant otters, and Patagonian llamas, while an Oceania Habitat features wallabies, emus, koalas, and other marsupial species. The park’s Aquarium, opened in 1995, is designed as a glass pyramid structure and spans more than 2,000 square meters, featuring two underwater viewing tunnels totaling a distance of 18 meters. More than 30 aquarium habitats are showcased, highlighting 330 species of aquatic life, including sandbar and bull sharks, clownfish, and hawksbill and loggerhead sea turtles. A 3,000-square-meter Aviary is also home to more than 60 species of raptors. Dining options at the park include Kibanda, which offers traditional European dishes in a casual, family-friendly environment, the Mediterranean-style Restaurant Bagaray, the Virunga Hamburger Restaurant, and a Main Cafeteria Restaurant serving traditional American fare. Quick-service food kiosks are also located in the Australian habitat and the Aquarium, serving sandwiches, hot dogs, pizzas, and hamburgers. An Electric Train offers rides around the park’s habitats, with information on ecosystems and animals provided by train tour guides. In addition to standard visitor admission, guided group tours of the zoo are offered, including curriculum-incorporated field trip opportunities for pre-primary, primary, secondary, and special education student groups. Educational programming is offered throughout the year, including weeklong summer and holiday youth camps. Adult educational programming includes workshops and classes on a variety of nature and biology-related topics. Annual public special events include Dream Night activities for children with chronic and long-term illnesses.